We have been noticing two pairs of birds hanging around in our back yard recently. They sit on the grapevine next to the deck, then fly off before we can figure out what they are. This past weekend I was finally able to take a picture of this guy out our dining room window. We thought that he and his girlfriend and the other couple they hang around with must be nesting in our backyard somewhere. Then last night we found this in the butterfly bush next to the house. 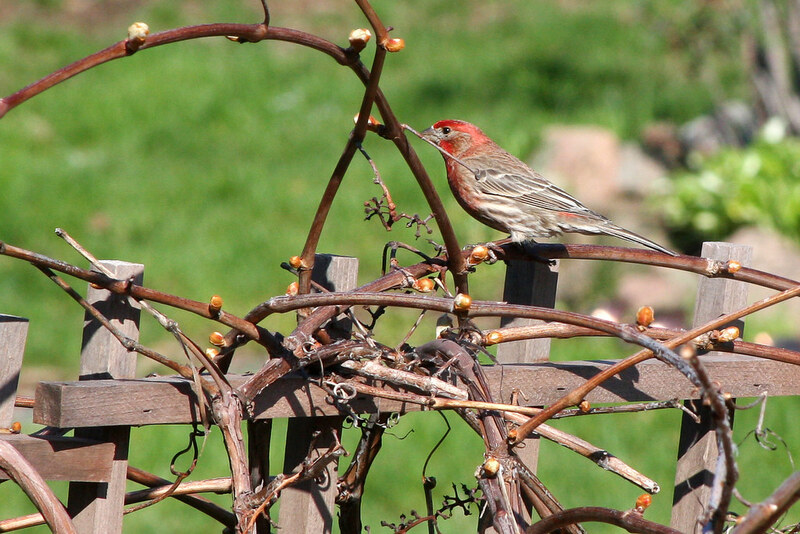 After a bit of research, we believe we have a pair of house finches making their home eight feet from our back door. 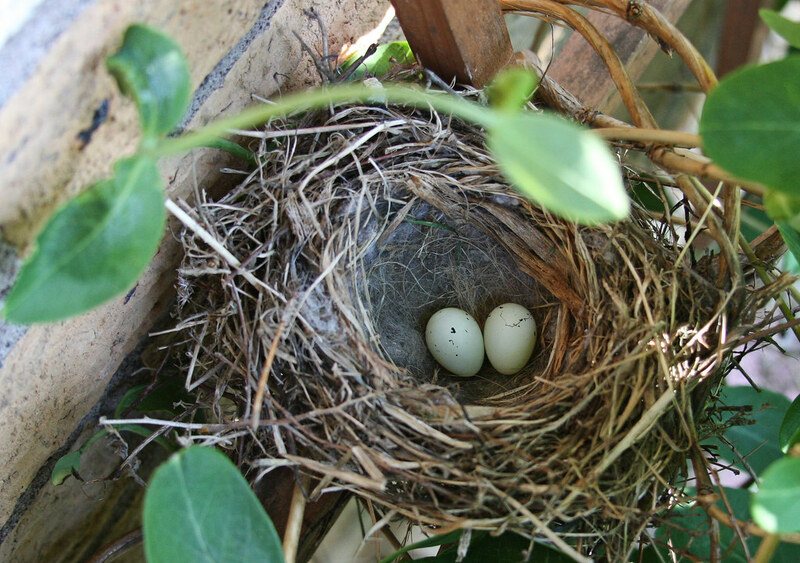 This afternoon I checked the nest again and found that another egg had been added. 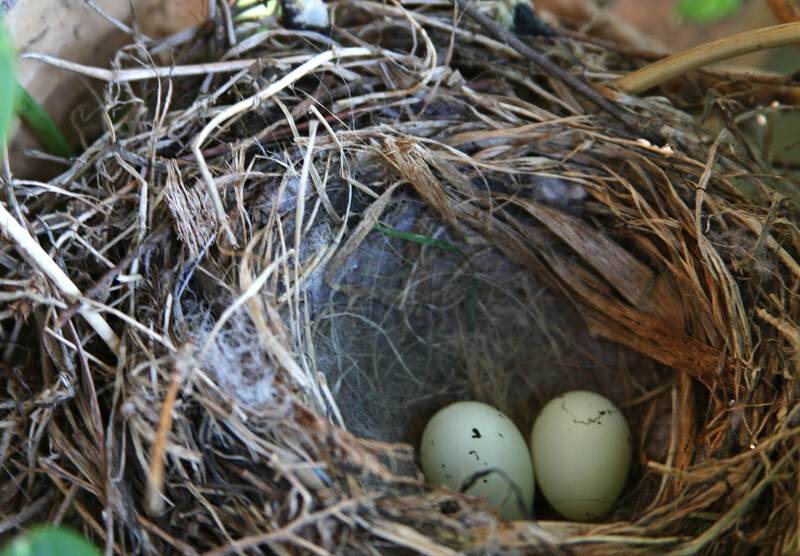 According to the information I read about finches, two weeks from now there should be three to six featherless baby birds in the nest. Two to three weeks after that they will get kicked out and will be on their own. I guess our kids have it pretty good compared to those birds. I plan to remind Sebastian and Sophia of that the next time they complain about homework or chores.